Ads for these products promised rapid weight loss (without anything to back up that claim), used fake customer testimonials, and promised “risk-free” trials that were all but impossible to get out of. You may have heard radio ads for weight loss supplements named AF Plus and Final Trim, promising “24 hours of fat burning power” and “maximum weight loss,” along with supposed real-world testimonials about how well these pills worked — and how you can try them now through a “risk-free” trial. Problem is, those people in the ads claiming they lost all that weight are just as fictitious as the free trial. And yet, according to the Federal Trade Commission and Maine Attorney General Janet Mills, the company behind the ads and these supplements managed to make more than $16 million in just a few years from this scam. The two agencies have filed a joint complaint [PDF] against the husband and wife, Portland, Maine-based operators of Direct Alternatives and Original Organics, alleging multiple violations of federal and state laws. First up, let’s look at how the “risk-free” trial scheme operated. But when customers called the phone numbers given in the ads for these supplements, they found they had to provide their credit card information before any of the terms of the deal were provided. That’s when they find out the trial actually cost $7.95 for shipping of two bottles of the pills (valued at $79.90), and you’ll have to go out of pocket again for shipping if you return the product. Customers were also automatically enrolled into additional, non-refundable, full-price shipments of the supplement. Even trying to take advantage of the supposed “guarantee” was a byzantine mess that no consumer should be expected to navigate. In order to be able to return the unused portion of that first shipment — which, by the by, must include at least one full, unopened bottle of the pills — customers had to obtain a return authorization code before they signed up for the free trial. None of this was disclosed by the company, says the FTC. So in addition to getting that return authorization, paying for the initial shipment, and paying for the return shipment, customers who sent pills back had to obtain a tracking number to prove the product had been properly returned within 30 days and then call the company’s customer service number with that tracking number prior to the expiration of the 30-day trial period. “Even when consumers follow all of Defendants’ refund policies, including the return of unopened products prior to the expiration of the “risk-free” trial, many consumers are nevertheless charged $79.90 to their debit or credit cards,” reads the complaint. If a customer chose that bonus, they were charged $1.95, which jumped up to $24.95 a month if they didn’t cancel in the 30 days. And those $80 gift cards the customers were promised? Not quite. “To receive even a fraction of the promised gift card value, consumers must go to two separate websites, investigate each club’s website for gift card offers, print out forms, fill out the forms, mail in each form separately, and repeat the entire application process again eight weeks later,” explains the FTC. 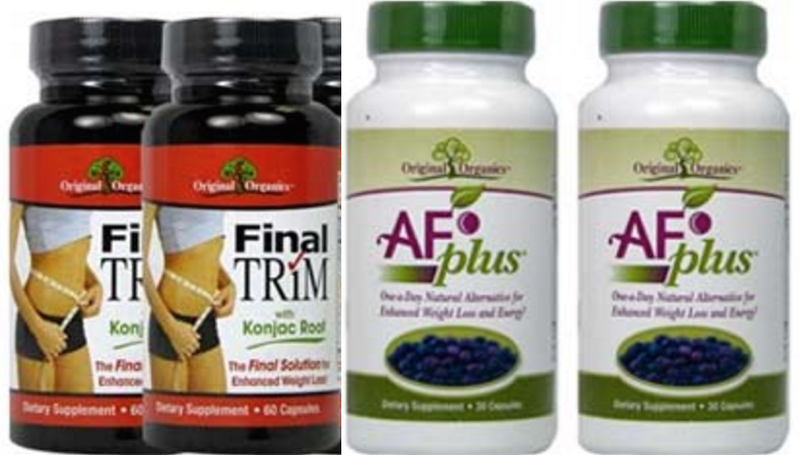 In addition to the not-at-all-free-trials, the complaint alleges that many of the claims made in the AF Plus and Final Trim ads were false or unsubstantiated. Ads for the products promised that, if “taken as directed,” they “will cause users to lose pounds in days,” “burns fat,” “boosts users’ metabolism,” and that they are “proven to cause substantial weight loss.” But the FTC says that the defendants had nothing to back up these boasts. Likewise, the people in the radio ads claiming to have lost weight using these supplements are “fictitious, and their reported experiences did not occur,” says the complaint. The defendants further misled consumers, according to the FTC, by running ads purporting to be news reports or public service announcements. These are all alleged violations of the FTC Act’s prohibitions against deceptive advertising and unfair business practices. More importantly, there is a $16.4 million judgment against the defendants, which will be suspended after they sell or liquidate assets, including real estate, furniture, appliances, timeshares, a boat, snowmobiles, IRAs, jewelry, artwork, numerous investment accounts, and business investments.